France allows consulate worker who smuggled weapons from Gaza to Judea, Samaria, to be tried in Israel. 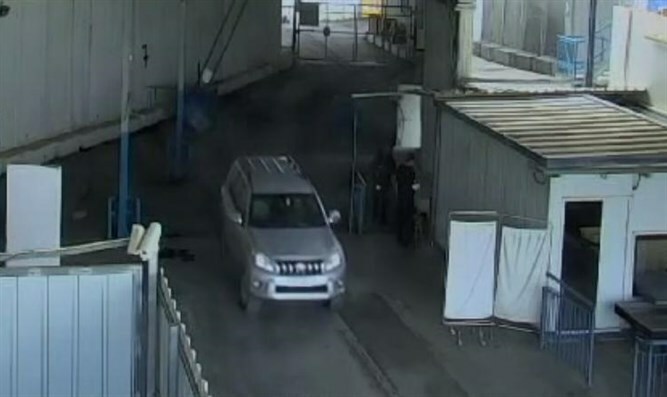 A French consulate worker was charged in an Israeli court Monday with arms smuggling following his arrest on accusations he used an official car to transport dozens of guns from Gaza to Judea and Samaria. France agreed to allow the suspect, Romain Franck, to stand trial in Israel in light of the evidence against him. However, Franck will serve any prison time he is sentenced to in his home country. Israeli officials were quick to note that the worker from France's Jerusalem consulate acted on his own without his superiors' knowledge and that diplomatic relations between the two countries were not affected. But the delicate case comes ahead of a planned visit next week to Israel and the Palestinian Authority by French Foreign Minister Jean-Yves Le Drian and French diplomats are sure to face questions over it. The arrested French citizen and several Palestinian Authority Arab suspects are accused of belonging to a gun-running network that eventually sold the weapons to arms dealers, Israel Security Agency (Shabak) said in a statement. Franck had taken advantage of reduced security checks for consular vehicles to transport the weapons across checkpoints. He was motivated by money, with the indictment noting that he was paid a total of around $5,500. Officials provided varying ages for Franck as either 23 or 24. He was arrested on February 15, but the case was previously kept under a gag order as the investigation continued. Franck spoke through an interpreter to confirm his identity during the brief court appearance, where his remand was extended until March 28. Two French diplomats were at the court to monitor the proceedings. security guard at the French consulate, Shabak said. The statement said the French consulate employee received the guns from a Gaza Arab who worked at Gaza's French cultural center. He then smuggled them into Judea and Samaria, to another person who eventually sold them on to arms dealers, it said. Weapons are often smuggled into Gaza via tunnels from Egypt's Sinai Peninsula. News of the arrest emerged on Sunday, but the details had still been unclear. A spokesman for France's embassy in Israel said Sunday "we take this case very seriously and are in close contact with the Israeli authorities." Franck "has benefited and continues to enjoy the consular protection" provided to French nationals, he said. A French diplomatic source said Monday that Franck had been screened by security before he was hired and no issues were detected. According to the source, Franck "did not deny the facts" after his arrest. A Facebook page in his name did not show any overt signs of political engagement and features pictures of his travels in the region. Shabak called the incident "very severe." "The immunity and privileges given to foreign representatives were cynically abused to smuggle dozens of weapons that could be used for terror attacks against Israeli civilians and security forces," it said. "The investigation was conducted in cooperation with the Israeli foreign ministry while constantly updating the French authorities."